Now in its fourth year, BioBeat, founded by Miranda Weston-Smith, is a collaborative platform for entrepreneurs and leaders in the biotech industry. BioBeat’s annual Movers and Shakers report honours women in biobusiness who are setting the pace in the life science sector and delivering extraordinary success in their field. In the run up to this November’s BioBeat16 event, we speak to some of 2015’s Movers and Shakers to explore how they’re transforming today’s challenges into tomorrow’s opportunities. In the second Q&A in our series, we talk to Professor Dame Anna Dominiczak, Regius Professor of Medicine, Vice Principal and Head of College of Medical, Veterinary and Life Sciences at the University of Glasgow. As one of the world’s leading cardiovascular scientists and clinical academics, her main research interests are hypertension, cardiovascular genomics and precision medicine. Anna talks to us about her research goals and the challenges facing the field. Can you tell us a bit about the cardiovascular research you are involved with? I am extremely interested in precision medicine. To put it simply, precision medicine is about selecting the right drug for the right patient at the right time. 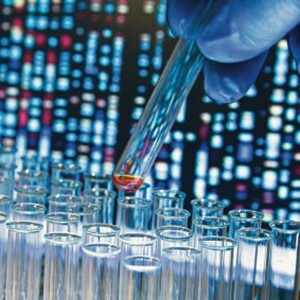 To do this we use molecular techniques, such as DNA sequencing, metabolomics and proteomics to try and determine the cause of an individual patient’s disease at a molecular level. By grouping patients with a particular condition into narrower subgroups based on shared disease mechanisms, we can then use more targeted treatment, tailored to a specific disease process. I believe that precision medicine will revolutionise the way we practise medicine with huge benefits for patients and health systems around the world. To help achieve this goal we have recently established the Scottish Ecosystem for Precision Medicine. This research network allows us to work alongside other Scottish universities with clinical medical schools, industry and the NHS. 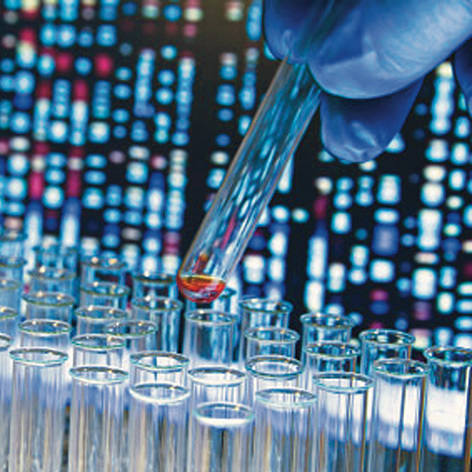 Through collaboration and knowledge sharing, our aim is to develop exemplar studies in a number of disease areas, including cardiovascular diseases, inflammatory disorders and cancer. One such collaboration project has enabled two professors from Glasgow and Edinburgh to join forces in order to stratify ovarian cancer into groups that require different treatment. Cancer stratification involves looking in detail at a patient’s genetic makeup to see if certain treatments will be effective. Although the project is not yet complete, colleagues hope that it will be possible to use DNA markers to select the best possible cocktail of drugs for patients with a particular type of ovarian cancer. I would like to make Scotland and the UK the best place for precision medicine in the world. I think we have very special attributes here – free healthcare at the point of delivery is one of our greatest strengths. Not only this, but the quality of our electronic health records and generosity of our patients, particularly in Scotland, who are willing to participate in clinical trials to develop treatments that will benefit the next generation of patients. Key to this will be universities working in concert with the NHS and industry. Using this triangle of collaboration and a network covering records of 5.3 million people in Scotland, I believe we can make significant progress. What are some of the pressing challenges facing cardiovascular medicine today? Despite the many treatments for high blood pressure, there remains a large group of people who are resistant to such drugs. We think that precision medicine could offer a solution to this challenge, and are investigating whether particular molecular markers present in patients could be used to identify effective drug treatments. There is a belief in the pharmaceutical industry that we have sufficient drugs for high blood pressure. However, many colleagues involved in treating patients would disagree with this. As we understand the mechanism of the disease, there are opportunities for new molecular targets. I think it’s important that we don’t lose sight of being able to treat these patients who are resistant to existing medication. In the last three years you have secured total research income in excess of £30 million. What kind of funding models do you think deliver high quality medical research? I believe that the British system – where we have the ability to finance different projects using a mix of different funders, such as research councils and independent charities – is very effective. Of course, we’re also hugely reliant on European funding, and this is something that is very much on our minds at the moment. I think successful science needs strong international networks. Our links with European scientists are very strong and hugely important so I think we need to make a real effort to ensure we do not lose this connectivity. The UK is very highly valued in this respect – we lead many networks and multi-partner consortia. I believe it is in leading these networks that allows UK scientists to be truly innovative, so I think it is very important to do all that is necessary to retain this ability. In June you were appointed a Dame Commander of the Order of the British Empire in recognition of your services to cardiovascular and medical science. Could you tell us about some of your career highlights? The DBE is an achievement I am very proud of – ‘not bad’, as they say in Glasgow! I am going to the Palace in November to receive my honour from the Queen. It is a tremendous honour but I see it as recognition of the University of Glasgow team and many other teams I have worked with over the years. I came to the University of Glasgow more than 30 years ago after studying medicine at the Medical School in Gdansk in Poland, where I’ve remained for much of my professional life. I’ve held a number of positions here – British Heart Foundation Senior Fellow, Chair of Cardiovascular Medicine, and when the British Heart Foundation and University of Glasgow opened the Glasgow Cardiovascular Research Centre in 2000, I became the Director. In 2013, the University of Glasgow became one of only six British Heart Foundation Centres of Research Excellence across the UK. I took up my current role as Vice Principal and Head of College of Medical, Veterinary and Life Sciences in 2010. Leading over 2200 members of staff and 5000 students, and working closely with colleagues in healthcare and industry, this role is incredibly interesting – one of the most enjoyable roles I’ve had! I’ve been involved with so many wonderful things in my career, it’s hard to single out one. Of course, it gives me great pleasure to help patients at the hypertension clinic. It also gives me great satisfaction to see undergraduate and postgraduate students who have worked with me at various points develop in their own careers. There are two colleagues who started in my group when I was a young clinical scientist, who are now professors at the University of Glasgow. How is BioBeat benefiting the medical community? I was very impressed last year by the publication of BioBeat’s report recognising female leaders in biobusiness. It is very important to show women at an early age what is possible as I know this has an impact on young entrepreneurs.